To many of us who live in the city, the idea of being stranded on a desert island may seem attractive and scary at the same time. The need to stretch our imaginations and physique to learn how to tie knots, make rope, start fires with two sticks or fend off bears is almost unimaginable. Most of us would probably be found blowing our nose with poison ivy while devouring the deadliest of mushrooms if we were ever trapped in an unknown environment. Alice is here to find these notes and discover some more about his fate. 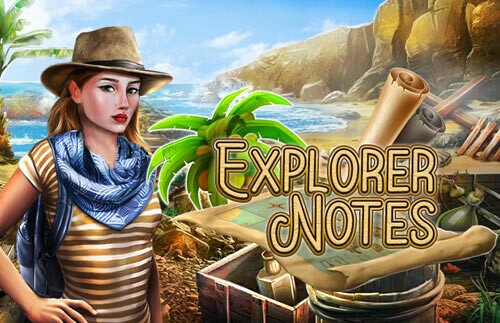 Alice finds out that he wrote riddles in his notes that she needs to answer if she wants to find out more about this island and about its explorer.